Kevin Hellon II, an entrepreneur, consultant, and visionary, started his first company at the age of 23, and went on to successfully start and run over six organizations in various industries over the next decade. Prior to embarking on his business career, Hellon worked in law enforcement, managing high-pressure situations during undercover work with the Sacramento Police Department’s Gang Unit Division. Hellon was also selected to join the detail for then-First Lady Hillary Rodham Clinton, for which he received a special commendation for his ability to organize a team under strict authority and security. After completing Multimedia Studies at the University of California, Davis, Hellon applied his knowledge, leadership experience, and visionary savvy by starting his own Internet technology firm. By the fifth year, he had maintained profit growth per year, with sales averaging between 300-500% year-over-year; built a team of 25 employees; produced successful projects for clients such as the State of California, “Godfather of Soul” James Brown, Joe Jackson, The GRAMMYs, City of Sacramento, City of San Francisco, California State Governor, just to name a few; and, acquired a web hosting company, without using outside investors. Hellon was approached many times over the years to sell, which he decided to do after 6 years in business. He then transitioned to apply his savvy in various industries. 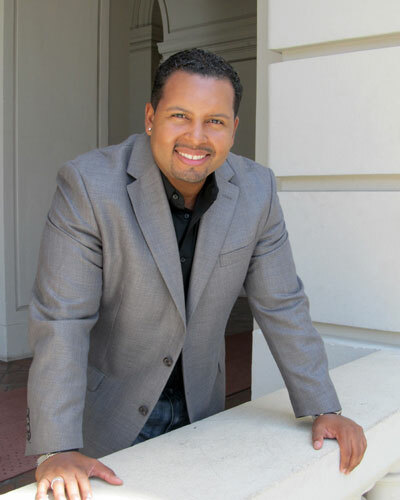 He has built and sold a successful real estate company, owned a successful franchise in a San Diego mall, and developed an online resource for independent artists in the music industry. Hellon has most recently started an entertainment company, Offstream Entertainment. He executive produces feature films from A-list talent, manages international talent, built a producer’s network and consults artists and labels. Mr. Hellon is directly involved in securing film financing and packaging films for investors through sister company, Reel Money Group. Offstream Entertainment develops, acquires and participates in entertainment properties that establish innovative business strategies for success. He has comprised a team of record label executives, social media and marketing specialists, web and mobile application developers, GRAMMY, EMMY and multi-platinum producers, film/TV music placement professionals and sponsorship placement executives, all with the intent to build successful entertainment properties in Film/TV, Web and Music. Hellon also shares his business savvy and experience as an effective business consultant, assisting a variety of businesses with their online presence, Internet revenue generation models, strategic and managerial direction, marketing and branding, employee relations, fundraising and investor relations, monetizing approaches, and sales strategies. Having been involved with the capital raising of business startups, he is connected with funding sources from banks, hedge funds, venture capital firms and independent investors who are interested in funding winning projects. Kevin Hellon II has received many accolades over the years for his achievements in business. He was recognized in the first ever “30 Under 30” issue published by the Sacramento Observer newspaper; listed five years consecutively in the Who’s Who in Business; awarded a diamond plaque by the California Black Chamber of Commerce for high achievements in business; honored with an achievement award by Councilwoman Bonnie Pannell for humanitarian services; chosen to receive a special young entrepreneur’s award by the Sacramento Metropolitan Arts Commission; and, given special recognition by Café de California for small business achievement. Most recently, Mr. Hellon was most recently invited to join The National Academy of Recording Arts and Sciences (NARAS). While business has been his first passion, Hellon has proven a commitment to giving back with a variety of humanitarian ventures. He created a non-profit organization to support families dealing with the devastation of lupus illness. He also made significant strides as president of Parkway Little League in Sacramento, California, and served as a coach for the Salvation Army’s youth basketball team. He continues to volunteer his time to the homeless, and to disadvantaged families, during the holidays. Hellon lives and works in Southern California, where he is also a proud father of two. For many years, The HELLON Corporation has been instrumental in taking companies from concept to a solid organization. We have helped single mothers begin a viable business to assisting government agencies with expanding their technology services for greater accountability. We worked with filmmakers to package their projects for investors and connected businesses seeking capital with funding sources. We are dedicated to putting the necessary resources and structure in place to allow our clients to succeed! Kevin has been a blessing to myself and my business. I was an employee until he brought my vision to life and allowed me to have a successful business. From my branding to his strategies, I am thankful for his hard work and expertise. The HELLON Corporation helped my company get funding only after a month of consulting. We looked long and hard for capital but they connected us directly with an investor who wanted to work with us.